Berdichev town is situated in the historic region of Volhynia, often called "The Jerusalem of Volhynia", now in Zhitomir oblast, Ukraine.From the 16th century till the end of the 18th, Berdichev was under the dominion of Poland, and the Polish family of Tishkewitz, the hereditary owners of that domain, ruled over it as they pleased. Apart from two single references to individual Jews from Berdichev in 1593 and 1602 (was mentioned that the owners of the "new town" farmed out a certain Jew to operate the mill and collect bridge taxes on their behalf), there is no evidence that a Jewish community existed in Berdichev before 1721. In 1732, with the permission of the lady of the domain Tereza (Theresa) Zawisha, the owner of the town, granted a charter to the Jewish guild of tailors, freeing them from interference by the communal authorities (kahal). The Jewish population gradually increased with the Berdichev's development as a fair town from 1765 (decreed by th King Stanislau of Poland). According to the census of 1765, the Jews of Berdichev numbered 1,220 (out of a total population of 1,541) including Jews living in the vicinity; they numbered 1,951 in 1789 (out of 2,640) According to their occupations, 246 were liquor-dealers, 452 house-owners, 134 merchants, 188 artisans, and 150 clerks, together with 56 idlers. These figures may be considered too low, the taxes of the Polish government being heavy, as many persons as could possibly do so avoided being placed on the registers. In 1794, Prince Radziwill, the owner of the town, deprived the rabbis of their right of civil jurisdiction, which was transferred, to a court to be elected by majority Jewish vote. Berdichev have become an important center of Volhynian Hasidism in the last quarter of 18th century, and the Hasidim were thus able to secure the election of "dayyanim" so as to free themselves from the jurisdiction of the "kahal"and its "mitnagdim" rabbis. As the town grew, a number of noted scholars served as rabbis of Berdichev, including Lieber "the great", Joseph "the Harif", and from the end of the 18th century until his death in 1809, "The Zaddik", Levi Isaac of Berdichev, the author of "Kedushat Levi" (The Holiness of Levi), made the town his headquarters. He created a great commotion by his teachings and by his quarrels with the "mitnagdim". it was probable that the above-mentioned permission for the election of separate judges given by Prince Radziwill was secured by the "hasidim", who sought to emancipate themselves from the jurisdiction of the "kahal" and the rabbis of the "mitnagdim". Great masses of people flocked to Berdichev to see Levi Isaac, who ruled there until 1809. At this period a printing establishment for Hebrew books was in existence in the city. In 1797, Prince Radziwill granted seven Jewish cloth merchants the monopoly of the cloth trade in Berdichev, and in the first half of the 19th century the town's commerce was concentrated in Jewish hands. Jews founded scores of trading companies and banking establishments there, with agencies in the Russian interior and even abroad. Jews also served as agents, of the neighboring estates of the nobility, whose agricultural produce was sold at the Berdichev fairs. The expatriation of Polish nobles and decline of Polish nobility after the uprising of 1863 dealt a blow to Jewish commerce in Berdichev. The economic position of most of the Berdichev Jews was further impaired by the restrictions imposed on Jewish settlement in the villages by the "Temporary Regulations"(May Laws) of 1882 and other government restrictive measures. The main increase of the Jewish population of Berdichev occurred in the first half of 19th century. There were 23,160 Jews living in Berdichev in 1847, and 46,683 in 1861. It was the second-largest Jewish community in Russia. Shortly afterward the number began to decline, and in 1897 Berdichev had 41,617 Jewish residents (80% of the total population). Other figures indicate that the decline came later ( in 1912, there were about 65,000 Jews in a total population of 77,766). In the 1926 census shows 30,812 Jewish residents (55.6% of the total); about the same number probably living there in 1939. Until World War I, emigration was balanced by the natural increase in the Jewish population; after the 1917 revolution the proportion of Jewish residents steadily decreased through emigration. At the end of 19th century, about half of the Jewish wage earners were employed in manual trades, mostly in tailoring, shoemaking, carpentry, metalwork, etc. About 2,000 were hired workers, while the remainder gained their livelihood from trade. Berdichev became one of the foremost centers of the "Bund". After the 1917 revolution, the proportion of hired workers increased, while a considerable number of Jews were absorbed by the state administration. The ideas of Enlightenment (Haskalah), began to spread in Berdichev early in the 19th century, especially among the wealthier families. The galician Haskalah pioneer and Hebrew author Tobias Feder Gutmann settled in Berdichev toward the end of his life. Influenced by Isaac Baer Levinsohn a group of "maskilim" was formed there in the 1820's, in which the physician Israel Rothenberg was to be particularly active. Among the opponents of the "maskilim" was the banker Jacob Joseph Halpern, who had great influence in hasidic circles and was close to the government. The first public school in Berdichev giving instruction in Russian was opened in 1850. With the economic decline of Berdichev, the wealthier "maskilim" left for the larger cities. Because of the poverty of the majority of the Jewish population a large number of children were even unable to attend "heder". According to the 1897 census, only 58% of Jewish males and 32% of Jewish females were able to read or write any language. The occupational stastisticsof the Jews of Berdichev for the year 1849 are unusually interesting. In this year 26 Jewish families secured their living as bankers, capitalists and manufacturers, 21 as tenants, 334 as innkeepers, 528 as merchants, 206 as agents, 30 as small industrialists, 1459 as artisans, 8 as factory workers, 597 heads of Jewish families were without any definite occupation or profession. In addition, 2,660 Jews earned their living as servants and domestic help. These figures show that during this first part of the 19th century, great changes had occurrred both in the occupations and social status of the Jews of Berdichev. Working classes had come into existence, including a large number of artisans and skilled workers, small producers, industrialists, and persons whose economic condition was precarious. At the same time, a number of Jewish bankers and capitalists were already beginning to arise. Data are extant as regards the material status of the Jewish population of Berdichev in 1849. In accordance with the number of those who paid taxes in that year, the Jewish population was composed as follows: persons of wealth 3.9; those of moderate means, 18.1%; poor persons, 78%. As it was observed, during the second half of the 19th century, the importance of Berdichev as a Jewish commercial center decreased. Many of the Jewish business men were attracted to the largest cities Odessa and Warsaw, the former city taking a large part of Berdichev's trade in agricultural products, and the latter its small industries. In the last part of this century the chief occupations of the Jews were trade in farm products, food and cloth, as well as tailoring and shoemaking. In 1897 the Jewish population of Berdichev was engaged as follows: in industry and artisanry 14,099; in commerce and trade, 14,374; as employees, servants and day-laborers, 3,456; living on capital or income, 1,450; in the liberal professions, 1,389. In the first decade of the 20th century, the economic position of the Jews improved somewhat, due to the adaption of Warsaw methods of manufacture of small articles and leather goods. This improvement however was halted by the World War I, with the result that Berdichev never regained, the economic and commercial importance which it had still enjoyed at the end of 19th century. In 1921, the 2,983 Jews who were members of of various trade unions made up 66.5% of the total membership. At that time Berdichev possessed a factory for the manufacture of machinery for sugar refineries, two sugar refineries, two tanneries, four breweries, a number of brick-plantas and mills, and a printing plant. In 1926 the professional and social division of the Jews of Berdichev has changed again. In that year the number of traders and merchants had declined to the small total of 1,300; workers had increased in number by 4,000 officials, and employees by 3,300; and there were 300 more Jews engaged in the liberal professions. The number of independent artisans had increased by 2,000. Whereas in 1897, 41,125 of the 41,617, or 98.8%, had given Yiddish as their vernacular, in 1926 only 83% of the Jews declared that they spoke Yiddish as their language. An investigation conducted among the Jewish workers of Berdichev in 1926 showed thta 86% of them spoke Yiddish at home, and that only 66% of the Jewish workers were able to read, and only 47% to write Yiddish. In Russian and Jewish literature and folklore, Berdichev epitomizes the typical Jewish town. It had some 80 synagogues and "battei midrash" and its cantors were celebrated throughout the Ukraine. It serves as the model of the town depicted in the writings of Mendele Mokher Seforim and Shalom Aleichem (Gants Berdichev) as well as in "Der Nister" (Mishpokhe Mashber). Two famous musicians of the 19th and 20th centuries, Anton and Gregory Rubinstein came from a Berdichev Jewish family. During the 1917 revolution and the civil war 1917-1919 the head of the community and major of the town was the bundist leader D.Lipets. In early 1919, the Jews in Berdichev were victims of a pogrom perpetrated by the Ukrainian army. Under the Soviet government, most of the synagogues were closed. Yiddish continued to receive official acknowledgment and Yiddish schools were opened in Berdichev. 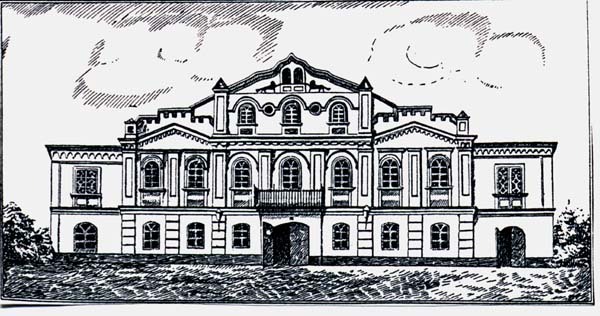 In 1924, a government law court was established there, the first in Ukraine to conduct its affairs in Yiddish. According to the 1926 census, of the 30,812 Jews in Berdichev, 28,584 declared Yiddish as their mother-tongue. However, by the 1930's complaints were heard about curtailment of the use of Yiddish in government offices in Berdichev. A Yiddish periodical "Der Arbeter"appeared in Berdichev about twice weekly until the middle of the 1930's. All Jewish cultural activities there were suspended before World War II. The Nazis established an extermination unit in Berdichev early in July 1941. Immediately afterward wholesale massacres began, and a guetto was set up in the city. It was liquidated on October 5, 1941, after all the inhabitants were murdered. There is a report stating that there were about 6,000 Jews (evacuated before the invasion) in Berdichev after the war (March 1946). Although "mazzah" baking was prohibited in the early 1960's, it was resumed after a few years. In 1970, there were an estimated 15,000 Jews in Berdichev with a synagogue a cantor, and a ritual poultry slaughterer. the cemetery was reported to be neglected but the Jews protected the grave of Levi Isaac of Berdichev.